ER 5 fellowship in Graz open for applications! ER 1 fellowship in Borås open for applications! 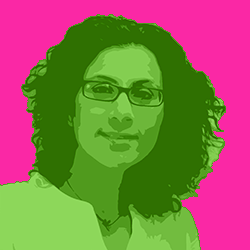 We are happy to announce that Anna-Maria Sichani has joined our network as Early Stage Researcher 10. She will be hosted at the Huygens ING in The Hague and focus her research on long-term business models in dissemination and publishing. The ESR 10 fellowship on long-term business models in dissemination and publishing is now open for application until 20 February 2015. For details please see the announcement at Huygens ING and the DiXiT application check list. The researcher will investigate the competing demands faced by digital scholarly editions: on the one hand the need for financial sustainability with respect to exploitation and maintenance, and on the other hand the general interest of the scholarly community in open access. Digital editions are usually created based on project funding, limited in time. After funding runs out, they need to be hosted, administered and maintained into an indefinite future. Is there a conceivable business model for the digital scholarly edition that will help the edition pay for its own maintenance while maintaining open access? ER 2 fellowship open for applications! The ER 2 fellowship in Maynooth is now open for applications. Application deadline is 11 December 2014, start of the year-long fellowship is 1 February 2014. There is one planned secondment of three months at the University of Antwerp. For more information, see the general fellowship page and the local announcement! ER 4 fellowship open for applications! The ER 4 fellowship in Cologne is now open for applications. Application deadline is the 15th August 2014, start of the year-long fellowship is the 1st November 2014. For more information, see the general fellowship page and the local announcement! Fellowships now open for application! Interested scholars may now apply for the ESR fellowships in Antwerp, Cologne, Graz and Rome until the 10th December 2013. All the other ESR fellowships and one ER fellowship at Oxford will soon be open for application too. Further details.